(08/01/18) Registration is now open for the 2019 HotelTechAwards! Registration is now open for the 2019 HotelTechAwards! Register today for a chance to win your category on the global stage and make the highly coveted 10 Best Places to Work in Hotel Tech List. 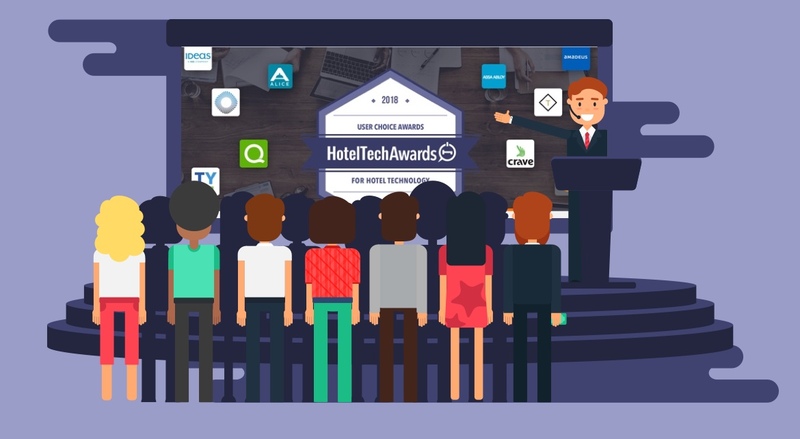 More than 40 of hospitality's top technology companies have already pre-registered for 2019's HotelTechAwards including: ASSA ABLOY, Cloudbeds, Revinate, ALICE and Travel Tripper. Last year more than 100 of the leading hotel tech companies competed for the industry's only data driven awards that recognize companies who win in the eyes of the judges that matter most--customers. If you'd like more information about benefits, logistics and judging criteria check out this article or feel free to reach out to our team via the live chat on Hotel Tech Report.